This kit contains pieces made with the Basic colours: Brown, White, Grey, Blue, Red, Yellow and Green, plus an instruction sheet. 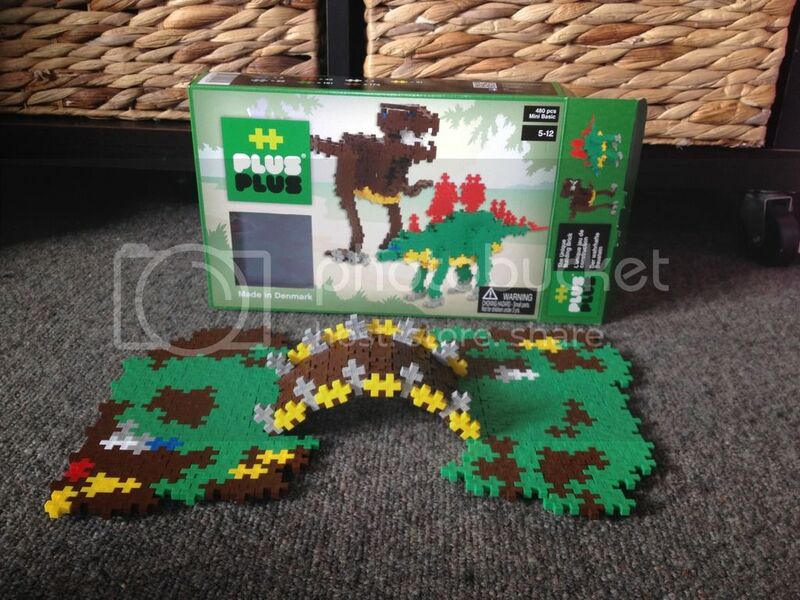 My Miss Five is obsessed with dinosaurs so I thought this box of Plus Plus from Denmark would appeal to her. With 480 pieces this looked like it would have enough pieces to keep us busy for a while. Helpfully on the side of the box it says how many pieces are in each colour so I knew we would have a lot of green and brown. We decided we would start by making the T Rex. Unfortunately the instructions weren&apos;t very detailed and there was no instructions as to how to fit the individual bits together to form the 3 D model. Miss Five did really well putting the individual pieces together and we managed to make the bits required fairly easily. I think I did fairly well making it but there was fundamental flaw somewhere (I couldn&apos;t for the life of me figure out where I had gone wrong though) and my T Rex had definite stability issues. Miss Five was not impressed at T Rexs inability to stand or keep his head on and pretty quickly destroyed him in order to build a forest. My Miss Eight and Miss Nine then came home and set to work making a mat (a flying carpet) and a kennel like basket to put a toy dog in. They loved these and Miss Eight has kept them in her room to play with. The rest of the pieces namely the brown which seem to have been rejected as a colour worth playing with have returned to the box to be used occasionally to construct fences and trees for the solid plastic dinosaurs that we already have. Overall I was disappointed with the instructions as a little more detail would have made it so much easier to construct the shown models. The pieces themselves however are very easy to click together and appear very durable so I don&apos;t worry that they will break. 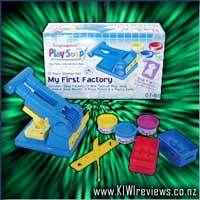 My girls have loved playing with these and they are a great toy for using your imagination with and for construction. 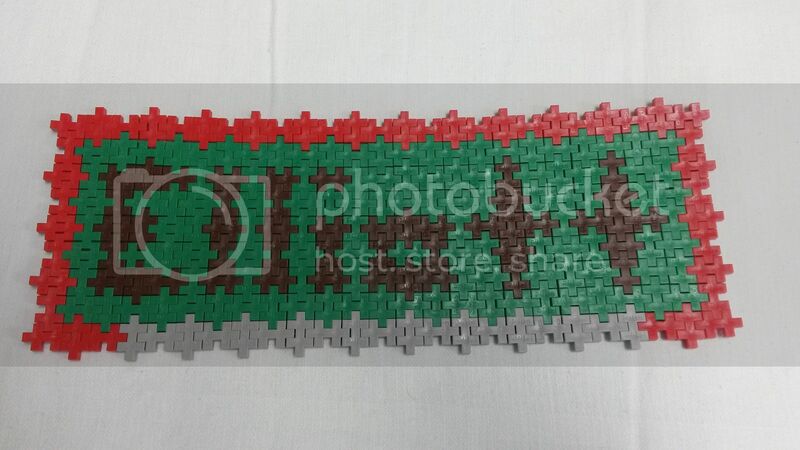 I would like to get another set or two as like lego the more you have the more you can make. Whilst I thought dinosaurs would be the best choice for my Miss Five actually my other two would appreciate more colours other than brown so I would consider that if purchasing different sets. I would definitely recommend this and it certainly makes a welcome change to Lego. I was excited to see a new building product for kids. Both my boys are hooked on Lego and thought that something new and a bit different would allow them to further practice their building skills and challenge their imaginations. Looking at the packet I could see that it had an age range of 5-12 but know that my five year old would take on this challenge especially because it had a dinosaur on the packet. When first opening the packet I was surprised to see that all the blocks were the same shape and size. Obviously this is very different to Lego so both my five year old and two year old took on the challenge of working out how to put these together. I purposely took away the instructions to start with to see where this would lead us. It was not long before both of them were asking for my help as they were finding it hard to put the pieces together solidly. When I started playing as well I could see exactly where they were coming from. My fingers too got very sore and it was a challenge to work out how to slightly bend these to make 3D shapes. My five year old really wanted to make the dinosaur so I handed over the instructions. Very quickly we found that these were going to be very little use to him as even I as an adult had trouble understanding the steps. 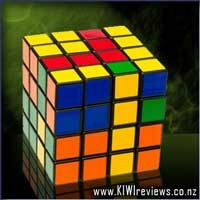 We are very use to step by step instructions however you were relying on the 3D picture which included multiple steps. Believe it or not I actually gave up before my five year old and we never have got that dinosaur made. We have however been using our imagination and coming up with how we could use this product. With the help of both sons we made a name plate as I found making flat objects a little easier on my fingers. I believe it is something that we will get some use out of but I maybe will not get to see it&apos;s full potential until the boys are a little older. The pieces will definitely last as they are solid and durable. My daughters have always loved blocks, they have spent countless hours creating huge &apos;towns&apos; made with Lego blocks incorporating petshop toy animals and matchbox cars, and similarly I have spent countless hours cleaning them up or asking them to do it. 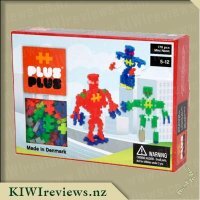 I interested to see what these Plus Plus connecting blocks were about, and when they arrived I was impressed with the design ideas that they had on the outside of the box, they looked like they would be fantastically challenging for my children to create. My 10 year old eagerly opened the packet the blocks where in and then laid out the instructions to follow, I decided that due to the age range of the box (5-12 years), I left her to it. But it wasn&apos;t long before she came to me for help, she was complaining that the instruction sheet was hard to follow; naturally I thought that she was just rushing but once I had a look I had to agree. The instruction sheet had no words (which was fine), but the construction stages were photographed at different angles making it hard to assess exactly how many blocks for each stage and whether they were duplicated or not. Once we carefully worked through it, my daughter was then proud to show off her dinosaur and even posed for a rare photograph for me! We all really liked the way the blocks tightly fitted together but they somehow were still able to be manipulated into curved creations without completely falling apart. My girls have since googled ideas for more designs and have made cars, glasses, handbags and flowers, this is the real &apos;win&apos; with this product, it&apos;s versatility and durability. Children will love these connecting blocks and I would recommend to parents as a fantastic Christmas/birthday gift if you want some much needed quiet time which doesn&apos;t include them staring at a TV or gaming console. As an early childhood teacher I love any toys that promote children&apos;s imagination, which is why I&apos;m a big fan of lego and building blocks. Children can spend hours using their imaginations building wonderful creations. 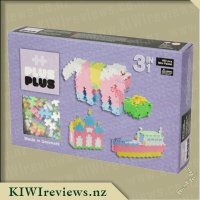 When Plus-plus blocks came up for review I was really keen to try them out with my creative 5 year old niece. The fact they have created blocks that can be used to create 3d structures had me very excited. When the set arrived I couldn&apos;t wait to plan a date with my niece to try it out, when I showed her the box she was very keen to rip into it and get started. The packaging is bright and inviting giving you examples of what you can make, it also has a clear window so you can see the blocks inside. Opening up the box the first thing I pulled out were the instructions Miss 5 picked them up straight away and studied them showing me what dinosaur she wanted to make. Once the blocks were open she quickly got to work following the instructions to make the different parts. 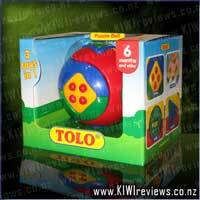 The instructions are perfect for children as they are all photos so no reading is involved. Miss 5 had no trouble following them at all. Her parts of the dinosaur quickly came together. As we worked we talked about different things we could also make with the blocks, I wanted to promote her thinking beyond just the suggested use for the kit. She got very excited about the thought of using the blocks for more than just dinosaurs and put her dinosaur aside and quickly started creating ships from star wars instead. 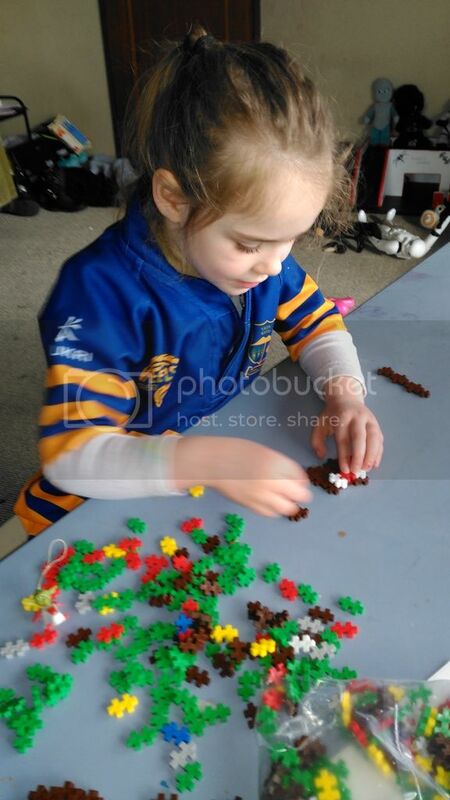 She went on to spend ages creating different things with the blocks each time letting her imagination shine through. When it came time for me to go home I left the blocks with her as there was no way she was ready to part with them. These blocks are perfect and would make a great gift for any child. They really do let the imagination run wild and the possibilities with them are endless. I already have plans of adding more kits to the one I have so my niece and I can make bigger structures. I love the ease of use and how easy you can move the blocks to create different shapes. The Plus- plus blocks are the first I have found that allow you to curve your creations. 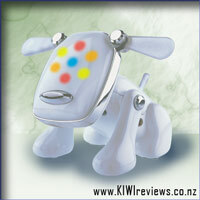 I think I had just as much fun experimenting with them as Miss 5 did! A product that allows children to be creative and use their imagination is always a hit with me, especially as an Early Childhood Teacher. There are so many toys on the market these days that don&apos;t allow for this, having one use and one use only. These Plus-Plus really captured my attention as I loved how they can be used to create so many different things, from 3D structures to 2D structures the possibilities are endless. This particular set of Plus-Plus Mini Basic come in a cardboard box, which has a viewing window at the front which allows you to view the product before buying it, great idea! 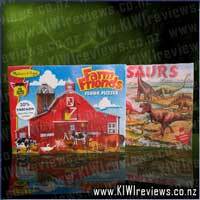 The front of the box features a picture of 2 dinosaurs which can be made from the Plus-Plus, and when looking at the colours that the set contains along the side of the box you will see that these have been selected with the idea of making a dinosaur in mind. The set comes with a large fold out instructions page which has a guide of how to make the dinosaurs on it, however neither I or the children I used these with found these very clear to use so we decided to use our imaginations and create things of our own. It would have been nice to have more ideas for other things which could be made with the Plus-Plus I feel. The first time I used this set was with my 9 year old niece and my 3 and a half year old daughter (keeping in mind these are for ages 5+, however Miss 3 is used to playing with Lego and is not a mouther, and this activity was supervised at all times). Both of the girls seemed to find them easy to connect together, and enjoyed making 2D structures, it took some time for them to settle in to making 3D items but once they got started they never stopped building houses, boats and everything in between! The pieces are very small in size and made out of a strong plastic, and are very easy to join together, no struggles here. Best of all these can curve, bend and point out in all directions making it easy to create some very awesome looking structures. I took these along to my daycare and used them (supervised again) with a small group of 4 children, two 5 year olds who were yet to start school due to the holidays, and two 4, almost 5 year olds. Knowing that these children are huge Lego fans who love to construct they were more than happy to come along to try these out. With certain rules in place they set to work. Trying to make the dinosaurs was first on the to do list, however the instructions were not clear enough at all, not even for me and so we decided to hide them away and create some things of our own. Again all of the children found these easy to work with, though they did struggle with the 3D aspect. I loved how much conversation these led to amongst the group who all talked about what to make with the Plus-Plus, a zoo was decided upon and they all had a task to complete. The final product - a fenced grass area, complete with an eagle and a tree! 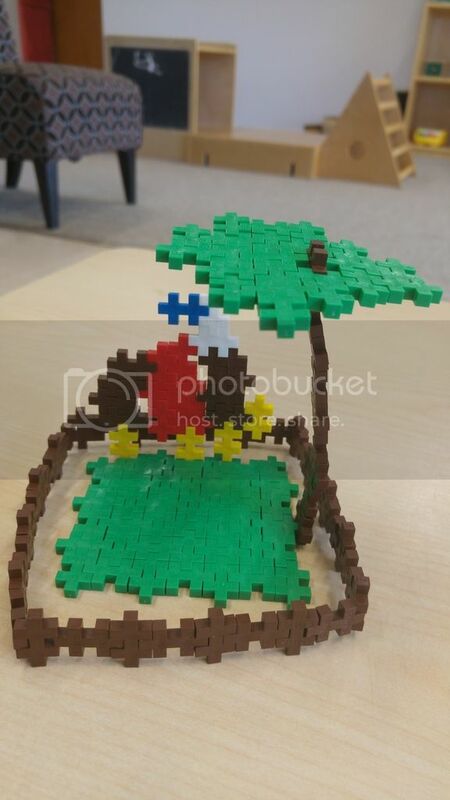 The creation had to be put aside for parents to see on pick up and both the parents and other teachers were really interested in this product, saying it was a step up from most other construction materials on the market being 3D and 2D and were interested in getting sets for home! A item that is requested for use in a quiet room each day throughout the week which kept them busy for over an hour at a time, this is certainly something worth adding to more. However my only suggestion is perhaps having more of a mixed lot of colours as there was disappointment from the children there were only a couple of red, blue and white pieces in the set, I fell having more of a mix would support their creative sides even more. The item is suited well to it&apos;s intended age group, however also suitable for slightly younger children if you are supervising and know that they can use this safely and have rules in place, though it is good to know that there are larger more Duplo sized pieces available in the range. A great product sure to go on our Christmas list this year for Miss 3 and something I&apos;m sure my daycare will consider buying in the future. 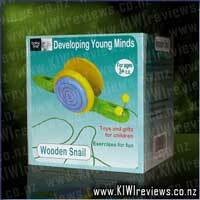 This toy hit the nail on the head for an open-ended and creative activity for children. The box consists of 480 pieces of coloured plastic, interconnecting &apos;double pluses&apos;. This particular set is called the "Mini Basic" and has a set number of pieces for each of the seven included colours. These colours are shown on the side of the box. We liked that we could see the actual pieces through the plastic window at the front of the box. This means that consumers can see what they are going to buy before opening the box. Mr 11 didn&apos;t think they looked so cool when they were in the box. When he actually played with them he was much more impressed. He started playing and he liked the way the pieces linked together. As we played together as a group (with Mr Six, Miss Four, and Miss Thirteen), he realised that the pieces were totally open to his imagination and they were much more flexible in design than Lego. He liked the way that the pieces could be joined together to create angles and curves as well as the basic angles that Lego would be able to do (90 and 180 degrees). We found that the pieces connected well together and held in place easily, even if they were creating an angle or a curve. The kids thought that the outside of box looked easy, but when they were actually trying to recreate one of the dinosaurs on the front of the box, they found that the instructions were hard to follow. They thought that the instructions were too simple and could have done with more steps and better illustrations to show how the pieces needed to fit together. They did find that it became easier as they gained more experience about how the pieces needed to fit together to make a given shape. It was a bit too hard for my younger two children, so Mr Six and Miss Four helped organising the colours as required. Personally, I prefer to see what children can create all by themselves. I think that this set would have been better if it had had an illustration of a number of different projects that children might make with the kit rather than swaying them towards the creation of the dinosaurs that are on the front of the box. Mr Six loves creating but got rather frustrated with trying to create a dinosaur. I think that this frustration would have been taken away completely if he simply played with the pieces right form the beginning. After a short while, he did realise this for himself and he went on to make his own creations. The other thing is that the colours in the kit definitely encouraged the creation of the projects on the front of the box. My kids thought it was rather weird that there were 480 pieces but only four white and three blue. When they recreated both dinosaurs, they found that they used nearly all of the pieces in the set. I can see that if my kids get a number of these sets, they will put them in a box in the same way as they do with Lego and just combine all of the colours. I think they will not worry about any instructions or individual sets. 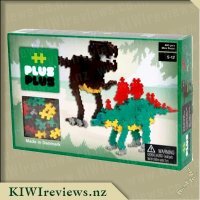 The plus-plus set is amazing and I know that my children will continue to play with this set. 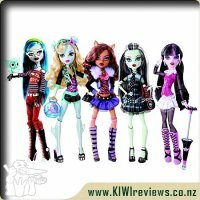 I see that it is available from MightyApe and the price is reasonable. 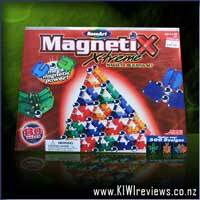 I think that it would be a great gift for my nieces and nephews as they all loved building and creating and I think that they are unlikely to have heard of this product before, so it will be extra special. 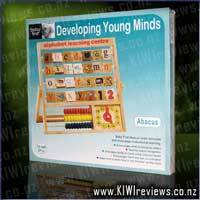 I am rather excited about the possibilities for what children will create with Plus-Plus. Capture amazing footage with the inbuilt camera, taking your flying experience to the next level. 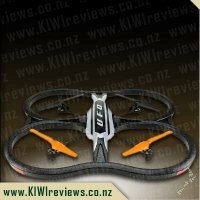 Easy control to make your drone take-off, land, hover and flip!